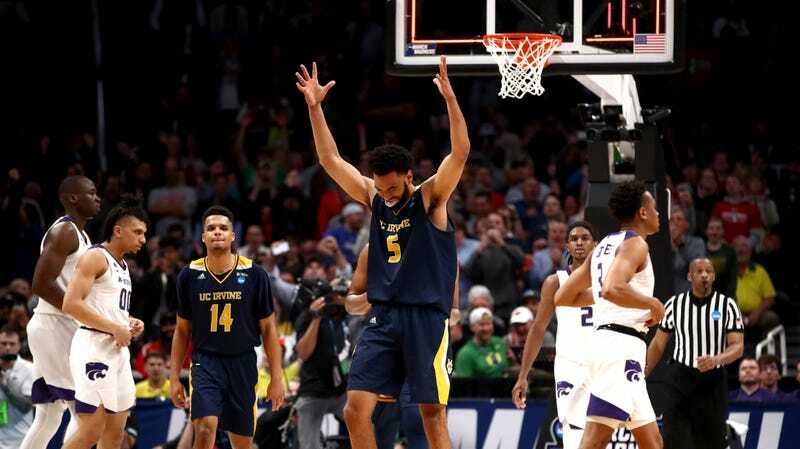 After a pretty chalk first day of the NCAA Tournament, the 13-seeded UC Irvine Anteaters picked up the biggest upset of the competition so far, knocking off co-Big 12 champs Kansas State in a 70-64 win. The Wildcats, who struggled with offensive cold spells throughout the season, couldn’t keep up with a red hot Anteater offense in the second half, after an even 30-30 first half. The eaters of ants went 6-of-11 from long range in the final 20 minutes—including three in a row as part of a 12-0 run—while the Wildcats went just 4-for-13. The short guys did the job for Irvine, as 6-foot-1 Evan Leonard and the wonderfully named 6-foot-0 Max Hazzard each scored a game-high 19. It was Hazzard who hit the game’s most exciting shot—a corner three to put the Anteaters up five with 85 seconds to go. 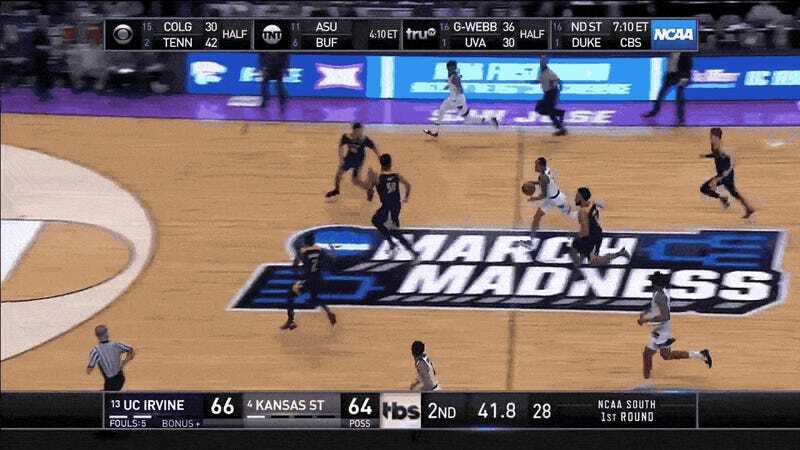 Cartier Diarra hit a three to cut the KSU deficit back down to two, and then the Anteaters came up empty on the ensuing possession, but Wildcats senior Barry Brown essentially threw the game away on an errant pass with 40 seconds left. Next on the menu for UC Irvine will be the winner of Wisconsin and Oregon.